African Lovegrass (Eragrostis curvula, ALG) invasion is a major threat to native pasture based livestock production systems and the biodiversity values of Lowland Grassy Woodlands (LGW). 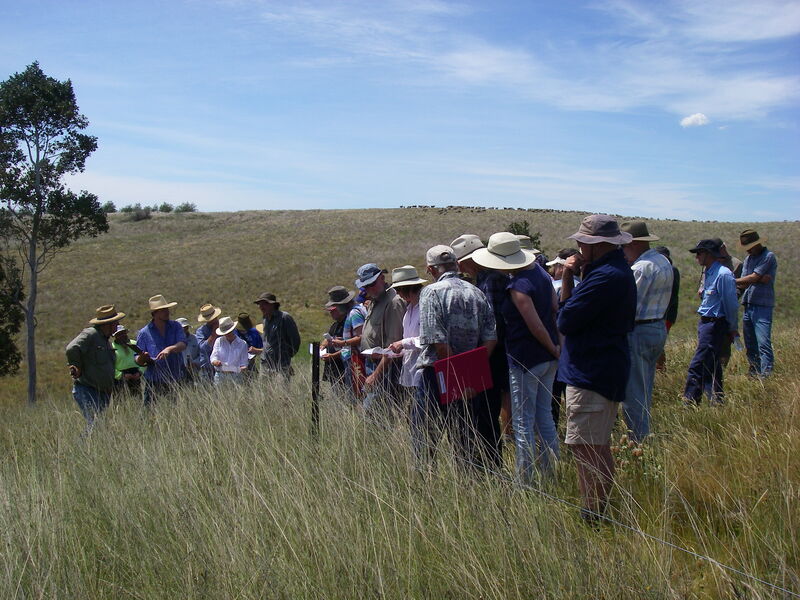 The FSCLA, through support funding from South East Local Land Services, is addressing the issue of ALG in the Bega Valley through research trials and the production of information sheets to assist landholders in making ALG management decisions (see links below). FSCLA is currently coordinating a research trial to investigate the effectiveness of roller wiping in low input pastures. The trial is investigating the costs and benefits of roller wiping and will provide new information on the effects of roller wiping on native pasture composition. Landholder development of roller wiping and associated grazing management practices is proving to be a potential method for managing ALG, particularly in low input pastures. While the production benefits of roller wiping in fertilised pastures appear to be well supported there is less conclusive evidence for low input native pastures. Little is known of the effects of roller wiping on pasture composition in LGW. Also recent economic research indicates controlling ALG through roller wiping may not be profitable in low input pastures.